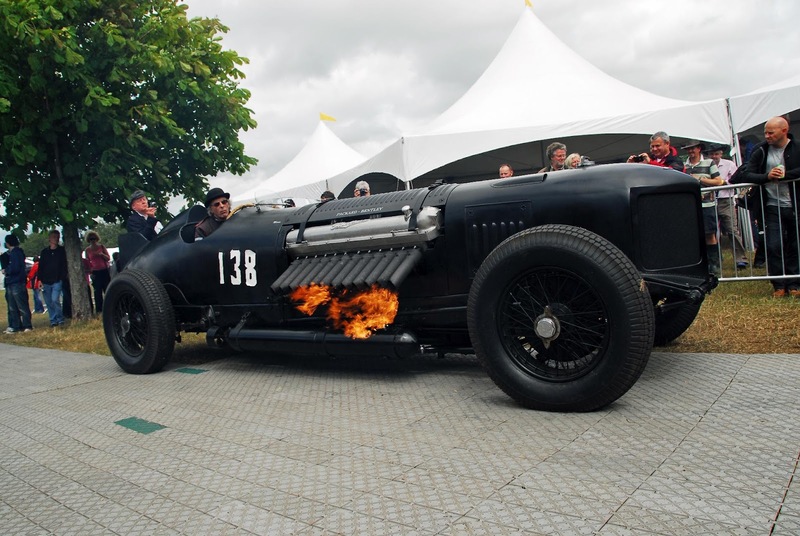 Brutus packs a 46 litre BMW V12 punch... And breaths fire! Following a red-blooded display of fire-breathing exhausts and smoking tyres on Top Gear (BBC2, 4 March), the aero-engined BMW ‘Brutus’ will be making a star appearance at the Cholmondeley Pageant of Power (15 to 17 June; www.cpop.co.uk), the UK’s biggest celebration of power and speed. 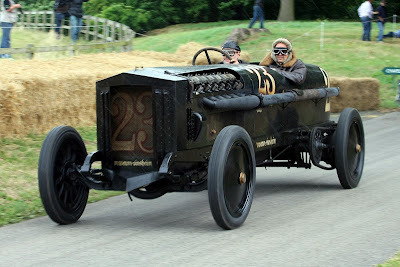 The three-day Pageant will play host to a weird and wonderful collection of early 20th-century cars that are powered by aeroplane engines, with the 500bhp Brutus taking centre stage on the track and in the paddock. Germany was forbidden from creating military aircraft after World War I, so, with large numbers of aeroplane engines spare, this 46-litre experimental project was created. While Brutus is normally on display at the Auto & Technik Museum in Sinsheim, Germany, this automotive marvel will be making a special trip to the UK for Pageant crowds to experience for themselves. The 42 Litre Packard - Bentley warms up. Now in its fifth year, the Cholmondeley Pageant of Power will take place on the Cholmondeley Estate in Cheshire from 15 to 17 June. A full event schedule and list of participants will be announced over the coming weeks, with Pageant organisers set to reveal some exciting new additions and features for 2012. 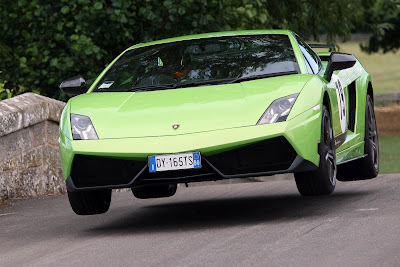 Some spirited driving from this Lamborghini! Time is fast running out for the early-bird ticket offer. Until the end of March, adult day tickets are available from just £18 (Friday), while crowds can experience the best of the Saturday and Sunday action for only £24 – a 25 per cent reduction on last year’s price. Under-16s tickets are also now available free of charge, giving families a cut-price option to the North West’s most high-octane event. James Hall, Event Director for the Cholmondeley Pageant of Power, said: “Whether you’re coming to the event with friends, family, or even a local car club, the Pageant of Power has never represented such incredible value, particularly with the current discounted tickets. Visitors can experience all the sights, sounds and smells of a unique race weekend and there are a huge number of opportunities to get involved in the action.”To take advantage of the 25 per cent discount on ticket prices (available before the 1st April) or to find further information, visit www.cpop.co.uk.